Heat the oven at 180°C. Cut the bread in squares like on the photo. Place on the oven tray and season with chilli, salt, pepper, oil. Mix well and bake for 15 minutes at 180°C. Don’t forget to stir as you bake. This will allow all the sides to dry out and crisp. 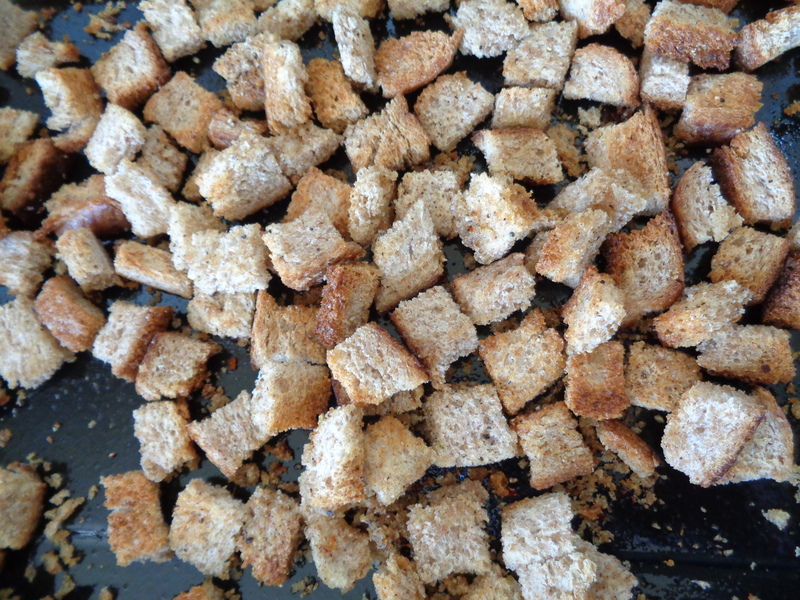 Making croutons is one of the best ways to use bread that is about to go off. They will keep for 3-4 weeks in a sealed container. 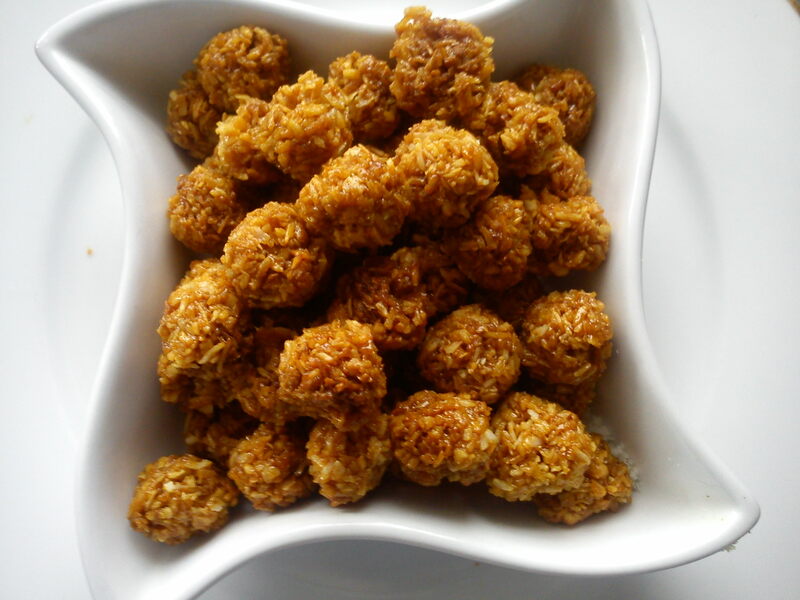 Another version of the crouton can be used a replacement for cereals. Mix about half a teaspoon of sugar in 1 table spoon water… drizzle the mix over the bread cubes, toss and bake dry for 15-20 minutes at 180°C. For the cereal version, feel free to add flavouring in the water/sugar mix… a drop of cinnamon or vanilla essence would be great! 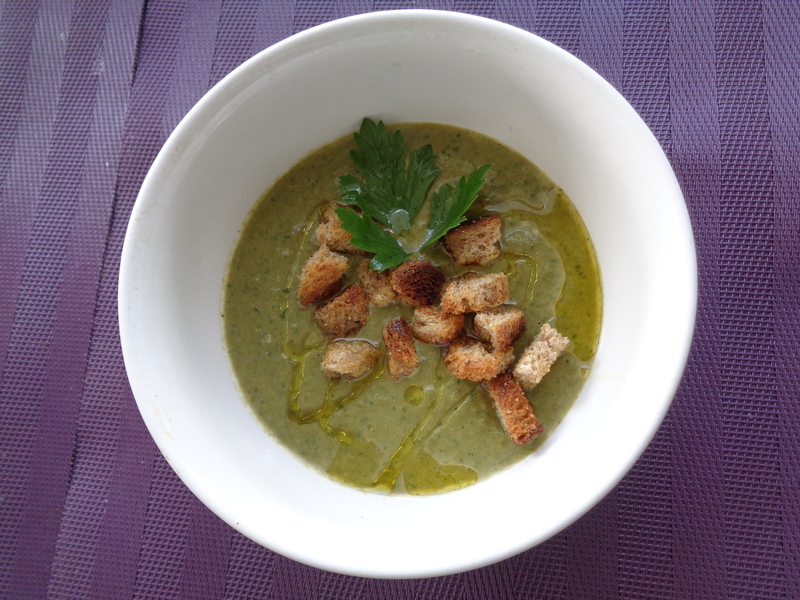 I used my savoury croutons to finish off the soup posted in the previous recipe. And for the cereal version? Just add milk. Spray a bit of oil on the flat tray that will be used to cool down the thins. The light spread of oil will prevent the thin from sticking to the used surface. Mix the crushed hazelnuts to the coconut. Melt the sugar on high heat, then stir until it becomes golden and really clear. 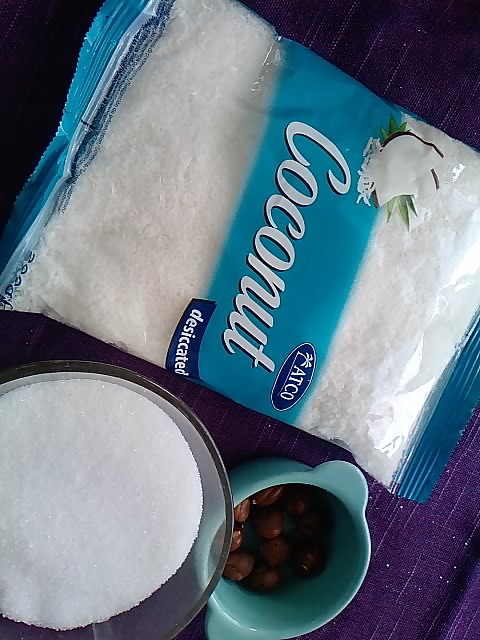 Add a pinch of salt to the melted sugar, then put in the coconut and hazelnut. Mix very quickly with a spatula until the sugar is completely absorbed. This process should take 1 minute max… it has to be done very quickly. Remove from the hob and lay the mix very flat on a dish prepared for it. Using a rolling pin or the back of the spatula, continue to flatten the mix, then create tracks as above on the picture. The tracks you have created will allow you to easily break off the thins once the mix has cooled down and hardened. If you rather make balls and have a high heat tolerance. You will have to move very quickly as the mix can cool down and harden within a minute… The balls can only be rolled by hand. Note: melted sugar can be really painful if not handled with care. No children should be around when you are doing these thins. Adding salt to the melted sugar breaks down its sweetness. In a deep pan, heat 3 tablespoons of rapeseed oil. Fry together thyme, onion and celery for 2 minutes, then add all the potatoes and brown for 5 minutes. Now add 700ml of stock, cover and leave to simmer for 20 minutes until the potatoes soften. Now add the contents of the casserole tin over the potatoes, adjust the seasoning and cover for another 10 to 15 minutes on high heat. Check that the potatoes are firm, but, starting to dissolve. If not, leave for another 5 minutes but, stir to make sure that the bottom of the pot isn’t burning. Do not eat the flower!!! Generally there aren’t many pieces of meat in tinned casseroles. So, if you’ve got some bacon in the house, feel free to add them from the beginning of the cooking process with the onion and celery. 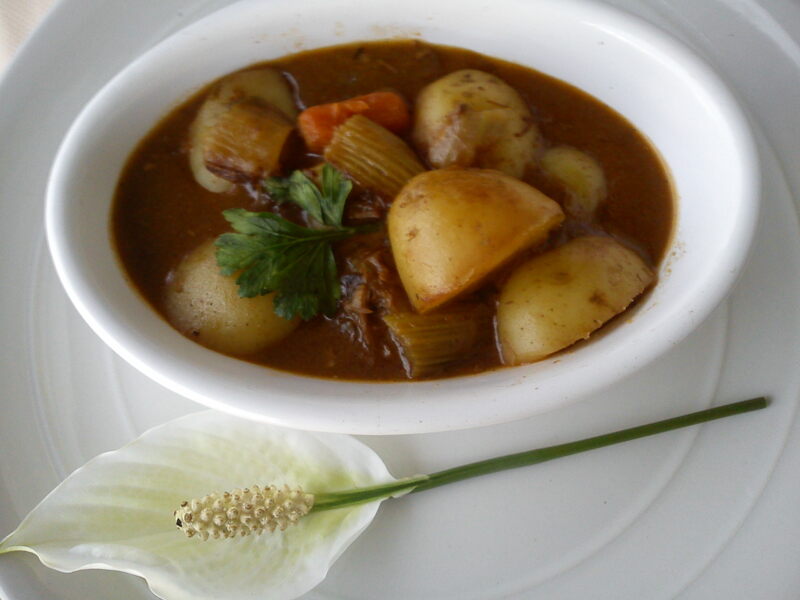 From the parcel: tin of beef casserole. Shopping tips: Celery, leeks are great ingredients to always have in the house. Lidl often has these two on offer and 3 large leeks can be bought as a bundle from 89p – £1. Start by preparing all the toppings and set aside ready to use. 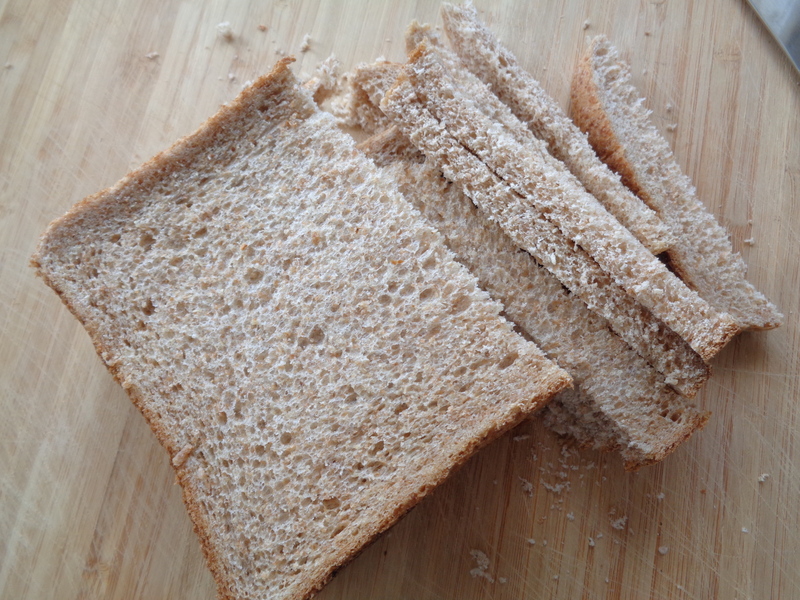 Then, remove the crusts from the bread and cut the slices into triangles (from corner to corner). Lay the bread on the oven tray ready to add the toppings. For each piece of bread add toppings in the following order: tomato sauce, corn beef, mozzarella pieces. Once it is all done, set aside to prepare the potatoes wedges. Rinse and cut the unpeeled potato, cut it into wedges. Add a teaspoon of paprika, a pinch of salt and 2 tablespoons of vegetable oil. Mix well and precook for 5 minutes, then, spread the wedges on an oven dish. Now, place both (potatoes and pizza) dishes in the oven for 25 minutes at 180C. Leave to cool for 5 minutes before serving with ketchup or mayonnaise. Enjoy. 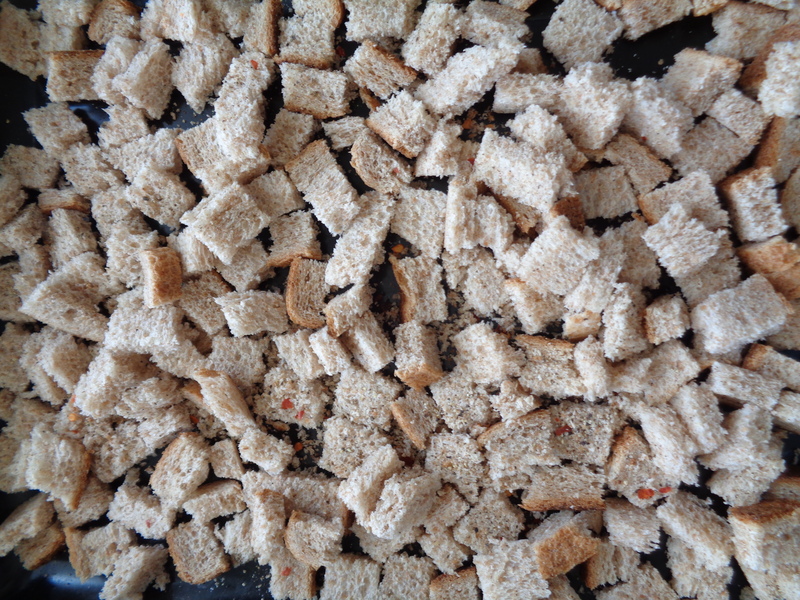 Make some bread crumbs: You know the bread crust that you cut, do not throw them away. Just cut them in smaller pieces, add a pinch of salt, sprinkle any dried herbs, a drizzle of oil, toss and place in the oven for 15 minutes at 180C. 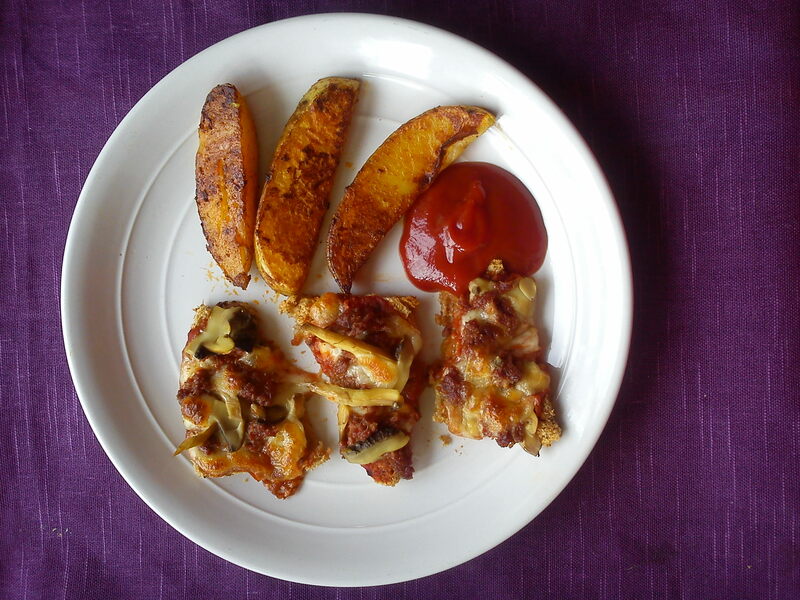 Why not put in with the pizza and potatoes to save on energy? These crusty crusts will serve as topping for salads or soups or even snacks. Hi, thank you for visiting the page today. This blog is still being populated but, If you’d like to download the booklet, please go ahead and click on the link below. If you are business and would like to sponsor the printing of a number of booklets please request the High Res PDF by emailing nashjulie9@gmail.com. Please note, this booklet is not for sale.